Many people put off routine dental checkups if they are not experiencing symptoms. Delaying these routine checkups can be bad for your dental health, however. 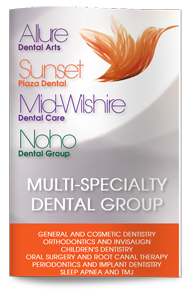 Our West Hollywood dentist has three excellent reasons for you to pick up your phone and schedule your next dental appointment. 1. Dental health is intricately linked to general health. Your mouth and tongue can give us a great idea of how your overall health is. We may be able to identify anemia, diabetes, nutrient deficiencies and other health problems simply by performing a dental exam. Your overall health can affect your dental health as well, which is why talking to us about any new health problems you have can help us help you better manage your dental health. 2. Oral cancer screenings can catch the condition at its earliest, most treatable stage. Oral cancer affects thousands of patients every year and has a high mortality rate if diagnosed in its later stages. If you smoke, drink alcohol, have had HPV or certain other risk factors, an oral cancer screening may very well be able to save your life. 3. Dental checkups can promote heart health. Poor dental hygiene and gum disease have been linked to systemic inflammation and infection, which can trigger a potentially life-threatening condition called endocarditis. Gum disease has also been linked to heart attacks and strokes. Routine dental checkups can clean away plaque and tartar buildup and provide you with valuable tips on how you can keep your teeth and gums clean and healthy.